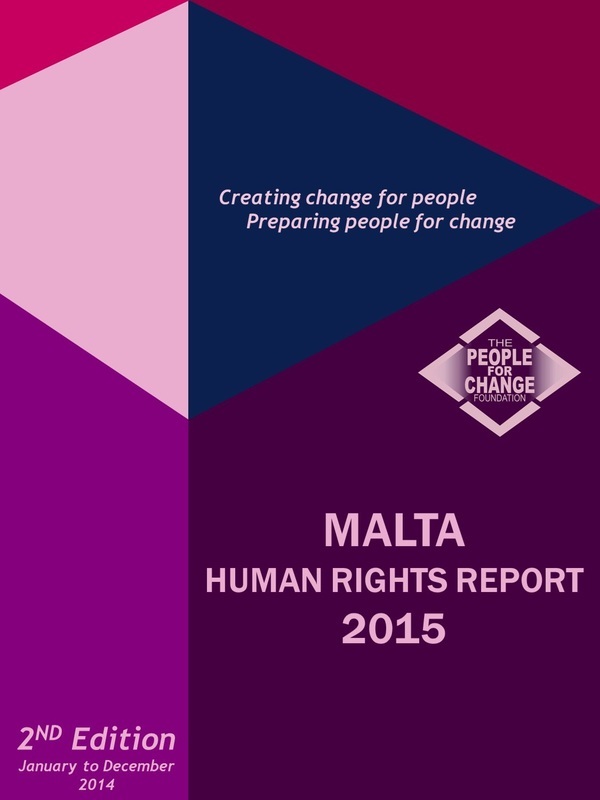 The Malta Human Rights Report is a flagship initiative of The People for Change Foundation. It provides a snapshot of some of the most pertinent developments in the field of human rights in Malta, particularly migration, asylum and integration, human trafficking and vulnerability, equality and anti-discrimination, statelessness, children’s rights and the rights of victims of crime. The report is now in its second edition with the first having been published in 2014 and covering the period January to December 2013. The intention is to publish the report on an annual basis.